Former Barnsley College Catering student Declan Crofts has won the Rising Star award at the annual British Frozen Food Federation People Awards ceremony. The ceremony recognises the future leaders of the frozen food industry and how they have gone ‘above and beyond’ to help drive measurable results for their organisation and the wider frozen food industry. During his time at College, Declan spent two weeks on work placement at the London Hilton Hotel on Park Lane, cooked for the Royal family at Windsor Castle and participated in the annual British Frozen Food Federation (BFFF) Awards Ceremony 2018. 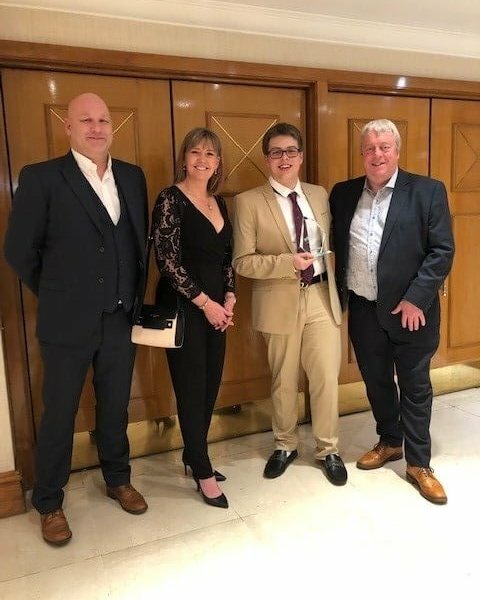 Declan, 19, of Hood Green, Barnsley, said: “I’m very pleased to have won this award and gained recognition for my commitment to the industry. My time at College was important and I developed most as a chef during those years.